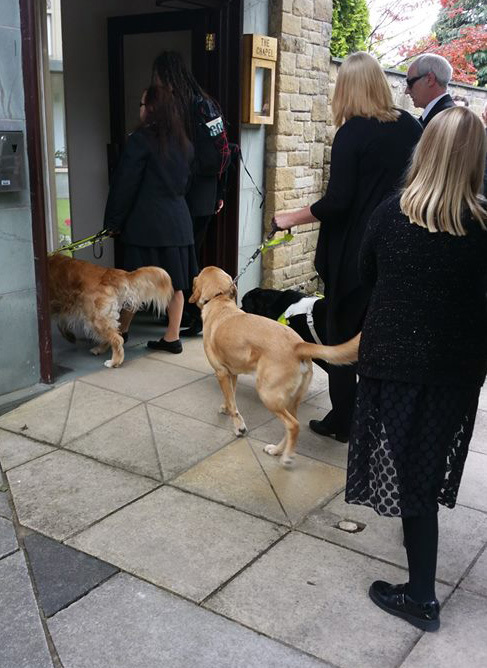 It was Guide Dog owner Robin's funeral today. Guide dogs and pups formed a guard of honour. Twiglet is second from the left, she was the youngest there. Dogs lined both sides of the road. It was the saddest sight seeing GD Gig following his daddy's coffin.